The idea of eating around the table with little ones may bring to mind little tea cups in front of stuffed animal friends or fidgeting children and food-covered floors. No matter what mealtimes look like in our homes, each meal is a chance to share how God’s love impacts our children’s lives. 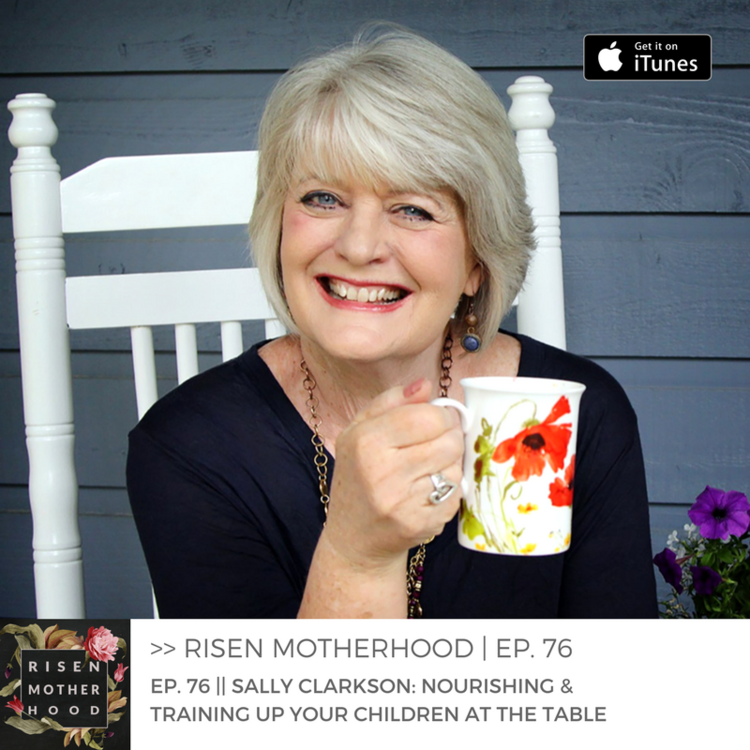 In this episode, Sally Clarkson, wife, mother of four, and prolific author, offers her wealth of experience and insight on sharing Christ with your children around the family table. By making our times at the table something special and an opportunity for training, moms can tackle the hard work of sharing gospel truths in a natural way within the daily rhythm of mealtimes.